You could get expert advice from a scholarly journal, a newspaper column, and/or a family member. Here at the library we would like you to consider a pretty hilarious comic for the next few minutes. WARNING, it may take you longer than a 'few' minutes to read this blog if your laughter tends to get the best of you. Enjoy adulting! 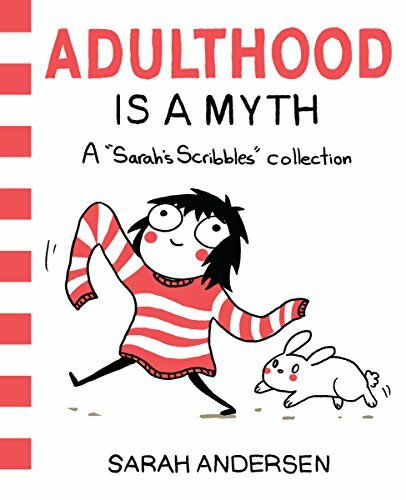 These casually drawn, perfectly on-point comics by the hugely popular young Brooklyn-based artist Sarah Andersen are for the best of us. They document the wasting of entire beautiful weekends on the internet, the unbearable agony of holding hands on the street with a gorgeous guy, and dreaming all day of getting home and back into pajamas. In other words, the horrors and awkwardnesses of young modern life. Sarah’s frankness on personal issues like body image, self-consciousness, introversion, relationships, and the frequency of bra-washing makes her comics highly relatable and deeply hilarious. 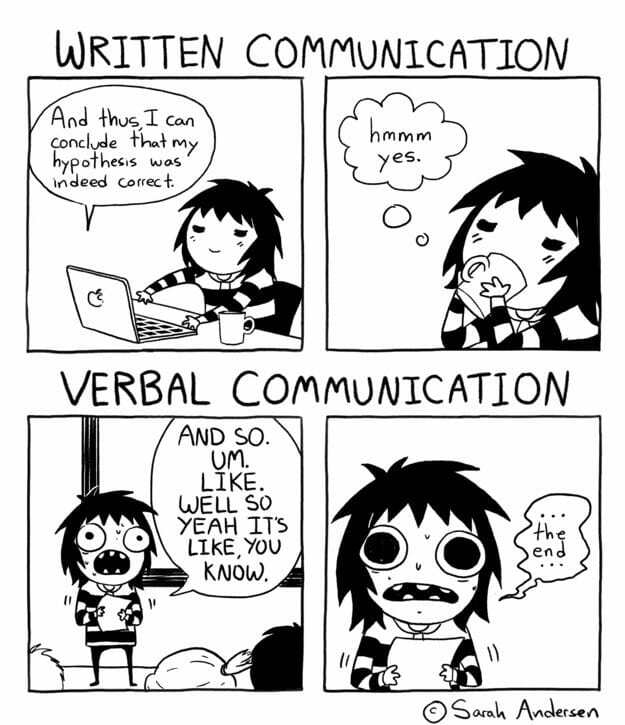 Maybe, you need to work on your communication skills. Or maybe it's like, totally fine. You can just crush it at emails and texts and NEVER present in front of people! *IF you just so happen to want to maybe, one day learn some presentation skills, the library can help you learn online with just your library card. Grab your library card and check out this learning path or not! Sign up here first! Money? What money??!! I don't just live paycheck to paycheck, I see money come and money go. 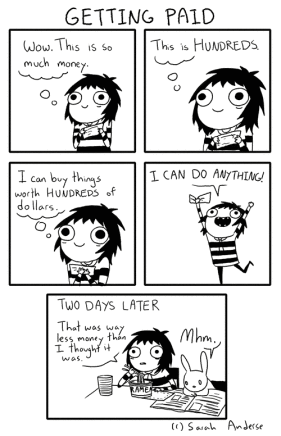 Sometimes I forget that the money that's deposited in MY bank account isn't mine, and I get the urge to buy stuffs. Mornings are the worst. The absolute worst. But maybe they can be made better by a FREE (relatively) audiobook or music to wake me up OR settle me back into my slumber! *Get digital audiobooks and music (mp3 downloads) from the library! All you need is a library card! Meditate ALL DAY EVERY DAY The land of, I dare you to eat ONE chip. Angel Truesdale is a native of Charlotte, NC and loves her hometown that acts like a big city but feels like a small town. She is an Adult Services Specialist with Charlotte Mecklenburg Library and holds a Master’s in Library and Information Science from San Jose State University. During her almost eight years with the library, she has facilitated library programs and exhibits on black culture, social issues, workforce development, and graphic novels (comics). Additionally, Angel has developed and implemented a wide range of tech-centric programs and trainings for adults, focusing on mobile, makerspace, productivity, and e-learning technologies. Her other interests include community engagement, international law, and film. 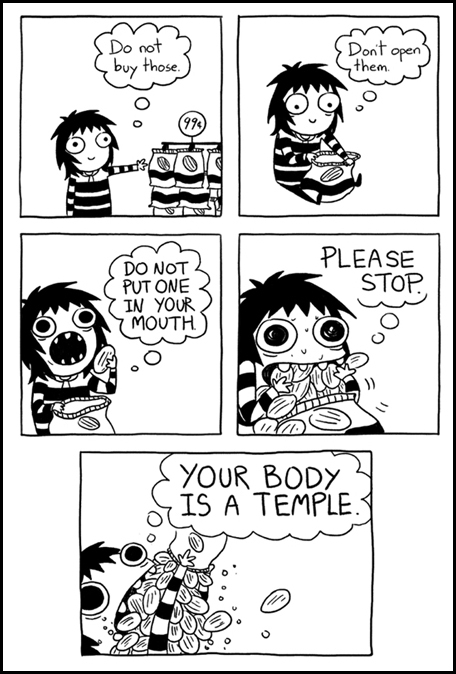 Hilarious – I relate to the chip eating one. 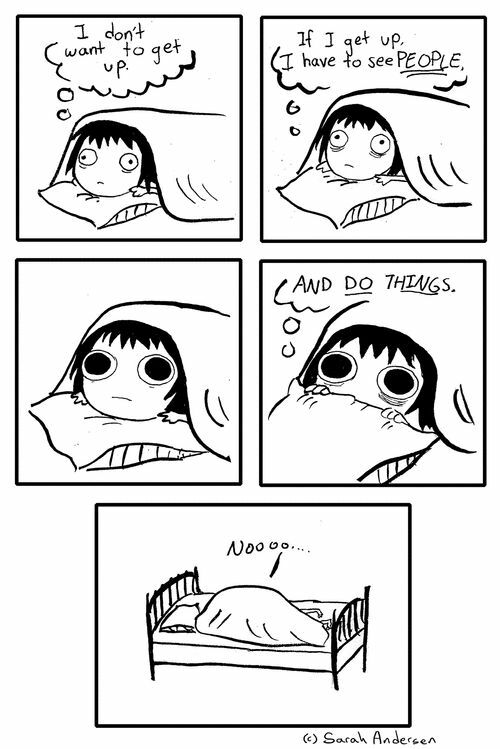 Like…everyday.